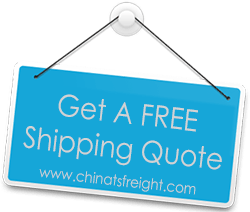 As China’s premium logistics and transportation service provider, we at TS Freight also offer all our global clients reliable and efficient customs clearance services. It comes as no surprise that any business that deals with distribution of goods must go through the cumbersome process of customs clearance, which usually comes with a vast array of authority procedures, documentation, banking and other details which can be time and energy consuming. To ensure that we offer our clients a truly one-stop solution for all their logistics needs, we undertake the cumbersome task of customs clearance, so that you don’t have to worry about handling these formalities on your own. We have highly trained expert staff that has complete knowledge and expertise in Imports and Exports. They have developed a great working relationship with customs clearance staffs at all the major airports, seaports and railway stations of China’s leading cities, so that they are well equipped to take care of all the relevant formalities needed in terms of clearance, brokerage and compliance. Their in-depth knowledge of custom regulations and their cordial working relationship with customs personnel helps smoothen out the process for a more streamlined operation, which works highly in the favour of all our clients. Our team has been trained to handle any glitches in customs clearance with utmost expertise and professionalism. They undertake the jobs of filling up all proforma invoices carefully and perfectly, handle all declarations and file them meticulously for smooth transportation, manage all the smaller nuances of import / export clearance and also make sure that the certificates of point of origin and destination are duly complete for a streamlined process that saves our clients both time and money. If you are looking for a company that is an expert at fast and secure customs clearance through years of experience and work in the logistic industry, TS Freight is the right choice for you. We handle all your customs clearance needs easily and efficiently, irrespective of whether your cargo will travel via air, rail, road or sea.